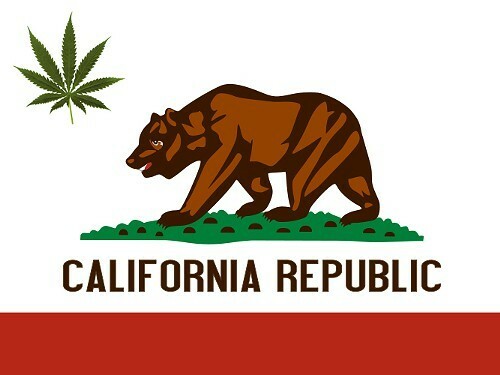 The nation’s largest marijuana policy organization announced Monday it will throw its weight behind a major effort to legalize cannabis in California in the 2016 general election. The Marijuana Policy Project plans to work with a broad coalition of local advocates and leaders in California to pass an initiative that would tax and regulate marijuana in a manner similar to alcohol. A February Field Poll showed that 54 percent of Californians support taxing and regulating pot. MPP plans to help pass voter initiatives in at least four other states — Alaska in 2014, as well as Arizona, Maine, and Nevada in 2016 - and support bills in at least five state legislatures - Hawaii, Maryland, New Hampshire, Rhode Island, and Vermont - to end marijuana prohibition by 2017 and replace it with systems in which marijuana is regulated and taxed like alcohol. On Tuesday, US Senator Patrick Leahy will chair historic hearings in Washington DC on the conflict between federal and state marijuana law. On August 29 the Justice Department announced it will not attempt to challenge Colorado and Washington's implementation of voter-approved laws establishing state-regulated systems of cannabis cultivation and retail sales. Federal prosecutors were also advised not to target businesses and individuals complying with state laws regulating and taxing marijuana. MPP has been a major force for changing most state-level marijuana laws since 2000, and was the largest backer of the successful 2012 initiative to regulate marijuana like alcohol in Colorado. MPP will face opposition in California from various political groups representing police agencies and the Drug Free America group, which holds its first anti-pot conference in Rancho Cucamonga this month.